We wish to bring to your kind attention a racist and malicious campaign against the Muslim community on Facebook and other social media claiming that Muslims returning after 25 years as IDPs due to the ethnic war in Northern Sri Lanka have encroached in to the Wilpattu National Park in North Western Sri Lanka. These Muslims who are legitimate owners to these lands and are retuning to it after the Liberation Tamils of Tamil Eelam (LTTE) forcibly evicted them in 1990. After the end of the separatist war, the Presidential Task Force for Northern Rehabilitation (PTF) allocated the said lands back to the Muslims for the resettlement of their Internally displaced persons (IDPs) in 2013. The President of Sri Lanka, H E Maithripala Sirisena as Minister of Environment has categorically denied that any land in the Wilpattu National Park or its reservations have been given or encroached by Muslims in his speech at a ceremony of senior Buddhist prelates on the 23td of March 2019 in Kandy Sri Lanka. He stated that the Wilpattu issue has become a much discussed topic among the country’s Buddhist clergy and citizens while even the media is very heavily reporting on alleged land allocations within the Wilpattu forest reserve. 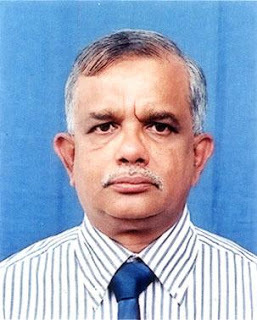 “We have not given even an inch of land in the Wilpattu forest reserve to any individual or institution within the past 4 years - the period from January 08, 2015 to today,” he said. The President made these comments at the end of his address, during the National Ceremony to announce the proposal made by Sri Lanka to the United Nations Educational, Scientific and Cultural Organization (UNESCO) to declare the Theravada Tripitaka as a World Heritage. Despite this, Buddhist extremists on face book are conducting a concerted campaign with hundreds of posts targeting the Muslims. As you are aware, a similar campaign on social media triggered the Digana riots in Kandy, which caused three deaths and several billions in damages. Sri Lanka took steps to shut down social media, which helped to bring the situation under control. 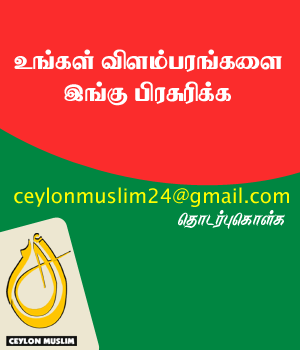 We feel that the current campaign on social media could trigger another backlash on the Muslims not just in the Mannar district but Island wide unless this campaign is blocked on social media. Several reports have been made to face book but the enormity of the crisis is of deep concern and we kindly urge Face book to monitor these hate posts immediately and prevent another bloodbath in Sri Lanka. We thank you for your kind consideration and look forward to your immediate attention and necessary action.